Upon receiving the news, Hrvoje Krstulovic said: "We are delighted at the news, and it will be a greatest honour to receive this highest industry recognition on behalf of the entire Blitz-CineStar team, including my fellow Members of the Board - Jadranka Islamovic, CEO and Heiner Kieft, Co-Founder." Blitz-CineStar opened its first multiplex, CineStar Zagreb in 2003. CineStar Zagreb remains the largest multiplex in former Yugoslavia with 13 screens and 2,940 seats. The CineStar chain currently has 23 multiplexes across former Yugoslavia (including the forthcoming sites in Banja Luka and Belgrade), with a total of 145 screens and nearly 23,000 seats. It is one of the company’s objectives to continue bringing state-of-the-art movie experience throughout the territory, with a series of upcoming projects. 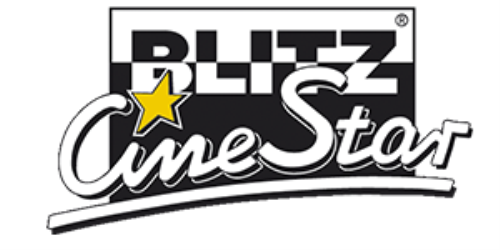 Blitz-CineStar is the major innovative force in the local exhibition market continuously upgrading its services, not only in terms of implementing cutting edge technologies, but also by introducing a series of branded consumer services which made it into one of the most recognizable brands. The CineStar brand has received 7 Superbrands awards in Croatia, including a Superbrands Exclusive award, and several consumer awards including winning three Best Buy Awards, notably the Best Buy Award Millennials 2018. Last year, Blitz-CineStar’s 15th anniversary was marked by winning a prestigious ICTA award in the category New Build Cinema of the Year, for its CineStar 4DX™ Mall of Split, the biggest cinema site in Croatia's coastal region of Dalmatia.